Victorian Tea Parties are enjoyed by all young ladies no matter what the age. 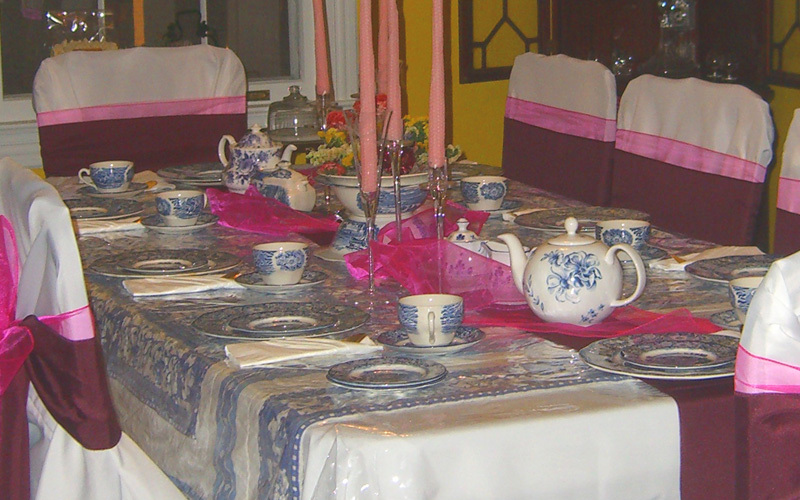 Our Birthday guest will have first pick of dress, hat, and gloves to wear while having tea. 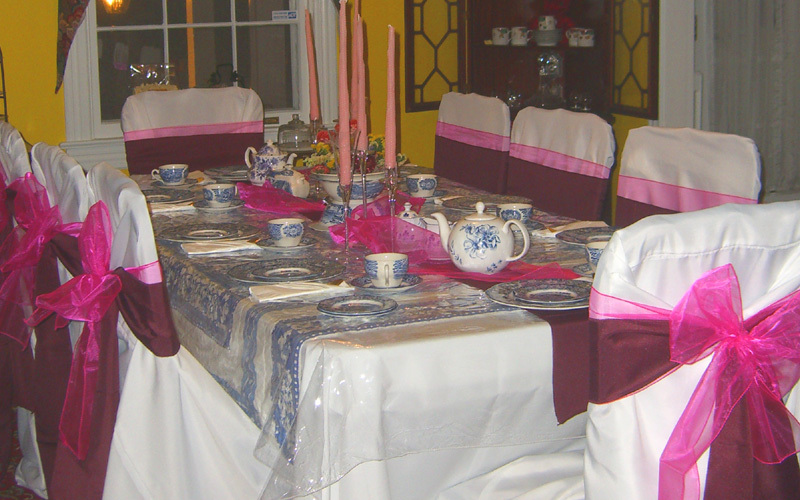 Everyone will also join in and dress up in beautiful dresses and accessories for tea. During tea each guest will learn proper etiquette from the host of Old Oaks. Each guest will learn how to make a Victorian fan to take home, and will enjoy dancing and Karaoke until time to leave.